And do all this, in traditional origin-story fashion, to tilt up a Marvel franchise for twenty-somethings. In the end, the film will prove wildly popular—raking in a whopping $135 million in three days (which excludes lotsa potential East Coast ticket sales due to the weather), generating the largest opening for any R-rated film in history anyway, and averaging 8.7 on IMDB—effectively resuscitating Ryan Reynolds' career while assuring a high-budget sequel (already on the drawing board and now turbo-boosted). I’m sure it will prove a gateway drug for more Dead-like characters, too, including The Punisher, those who wink-wink at themselves, rib others, and deliciously bite the hands that feed them (and in the cheekiest ways imaginable). 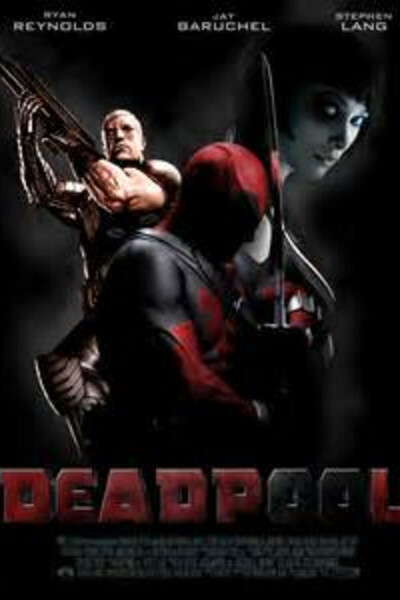 It will be somewhat entertaining, sure, like mud wrestling or demolition derby, but after a while I wished Deadpool would simply shut up and clean up. There is much to which one may take exception here, but my primary complaint was that of ribald jabbering. (And if that doesn't make me sound 90 and Church Lady prim, I don't know what will.) After thirty minutes or so, I wished Kung Fu Panda’s Po would mosey into frame and admonish, “Chit chat. Chitty chitty chat chat. Gosh, shut it already, wash it out with soap, and let's fight!" If you love Ryan Reynolds, you will all the more here. He’s spunky, irreverent, and ripped. He fought for Deadpool for years (beginning in 2009 when he first made an appearance as the character in X-Men Origins: Wolverine), dressed as the titular character for Halloween, has visited hospitals wearing that suit, and even kept it after production—because he fancies himself Deadpool. If you know anything about Ryan Reynolds, you will agree that Deadpool is, indeed, his alter ego. The manifestation of so many prior characters, virtually all of them sassy jabberwocks. If his motor-mouthing does not impress you, however, you’ll have had enough early on and look forward, all the more, to next week’s Race (the Jesse Owens story), Risen (the manhunt for Jesus after his resurrection), and The Witch which, again, I have promised you, is super spooky, and especially if you love your horror the old fashioned way: all innuendo and zero FX. Just be sure and eat before you go, because you will not be hungry during or after. It will be a weekend of opposites, unlike this past, and that’s a sure thing.